Encoder that maps the input to some conceptual representation rather than individual words. Decoder that maps the representation into output words. Since we have a separate encoder and decoder, we could also have an encoder that encodes images, and a decoder that decodes text, giving us an image captioning model. Wheras recurrent neural networks' repeating structure makes it a natural fit for sequential sentence data, convolutional neural networks are a natural fit for images. 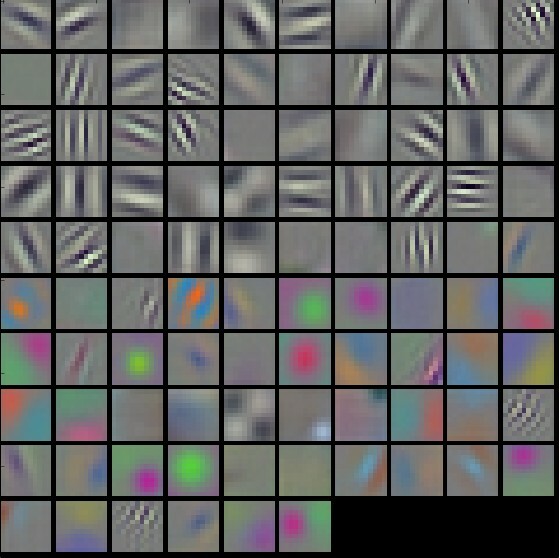 Convolutions look for visual traits in local patches in images, such as shapes and colors. Today we'll implement an image captioning model to describe images. Here we will also define a constant to decide whether to use the GPU (with CUDA specifically) or the CPU. If you don't have a GPU, set this to False. Later when we create tensors, this variable will be used to decide whether we keep them on CPU or move them to GPU. The dataset, MSCOCO, contains 5 English captions per image. We will be representing each word in a language as a one-hot vector, or giant vector of zeros except for a single one (at the index of the word). Compared to the dozens of characters that might exist in a language, there are many many more words, so the encoding vector is much larger. There's a bit of pre-processing code below, that loads the data and converts it into one-hot vectors. # Load annotations file for the training images. # Load annotations file for the validation images. # Create the vocabulary. Note that we add an <UNK> token to represent words not in our vocabulary. # Define the max sequence length to be the longest sentence in the training data. into list of numbers (denoting the index into the vocabulary). # Add the <SOS>/<EOS> tokens and numberize (all unknown words are represented as <UNK>). into a numpy array of one-hot vectors. # Define a global transformer to appropriately scale images and subsequently convert them to a Tensor. Simple function to load and preprocess the image. 2. Scale/crop it and convert it to a float tensor. 3. Convert it to a variable (all inputs to PyTorch models must be variables). 4. Add another dimension to the start of the Tensor (b/c VGG expects a batch). 5. Move the variable onto the GPU. We can explore the data a bit, to get a sense of what we're working with.